Happy Thursday Guys! And of course, Happy Thanksgiving, to those who are celebrating! I hope everyone's having a great week. I've been home alone the last few nights, as Marks been away in Russia on business. 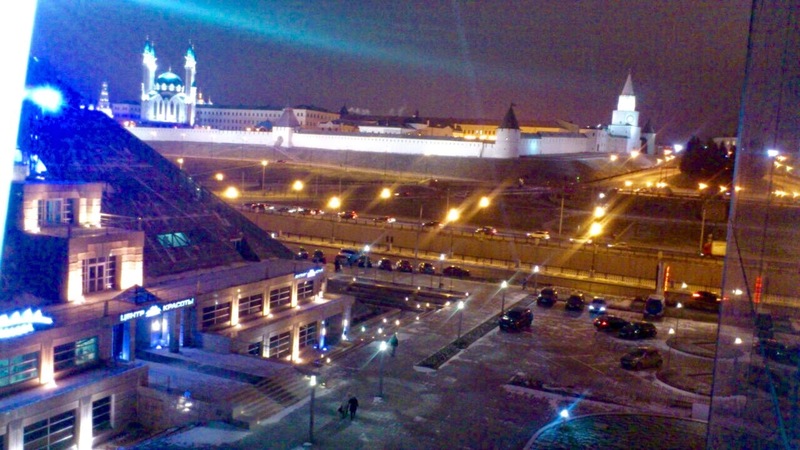 He started off in Samara for a night then headed to Kazan via Moscow. He gets back tonight which I'm soo looking forward too! 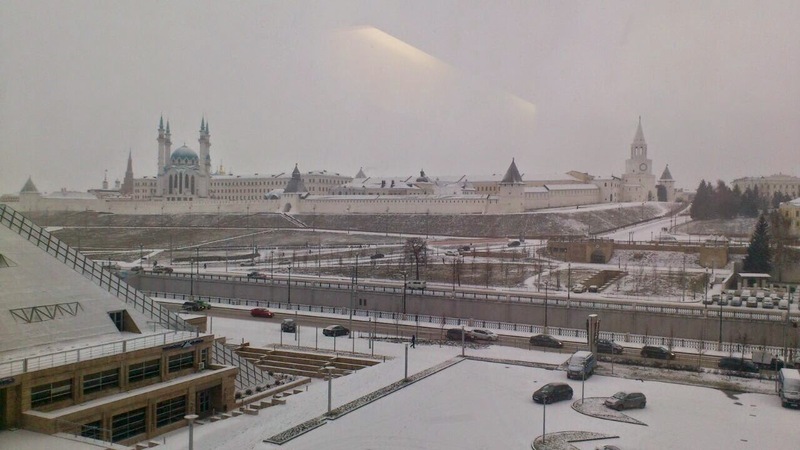 Mark whatsapp'd me a few pics he snapped from his hotel window in Kazan, one from last night then two this morning, where he woke up to a very snowy view! I am slightly jealous of this, as I love to wrap up in a nice warm coat and boots in the winter and Europe is always so lovely this time of year. I'm sure though, after a couple of days in the cold, I'd be itching to get back to the sunny desert! Did you see that huge castle?! 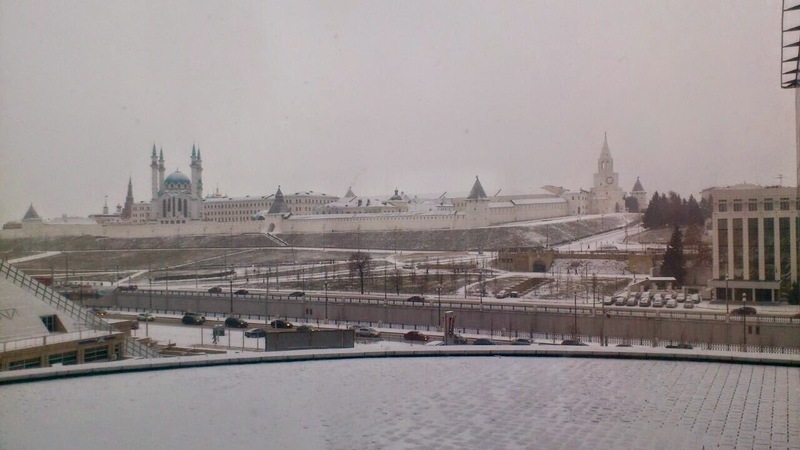 It's The White Stone Kremlin that was built in the 12th century. A little bit of info there for you! I can't take credit for it, I had a look on the hotels website for the info! The Mirage Hotel Kazan. We haven't many plans for the weekend, chill out mainly, going for walks and mixing it up with some jogging! I ended up running yesterday during my walk and even though I was pooped when I got in, I actually loved it! We're planning on going to Dubai Friday afternoon, just for a mooch around the shops and for a spot of lunch. Also, I want to have a look at the Christmas Tree at the Waldorf Astoria here in Ras Al Khaimah, it looks stunning from their pics!